Manly is well known for its surf beach and Shelly Beach, but most people don't consider Manly Cove Beach, when planning a fun day out. 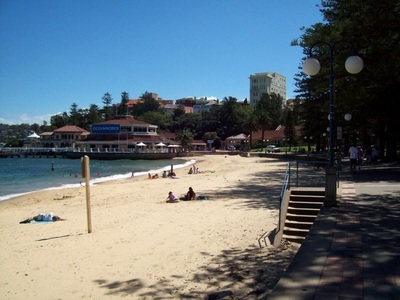 Located on the "ferry side" of Manly, this awesome beach is perfect for families with young children. 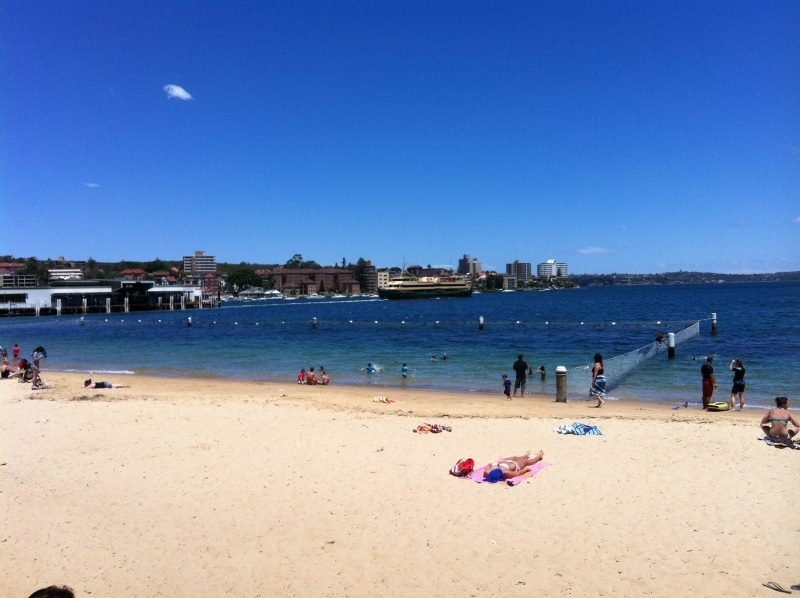 There are no waves, plenty of grassy areas and a shark net pool. 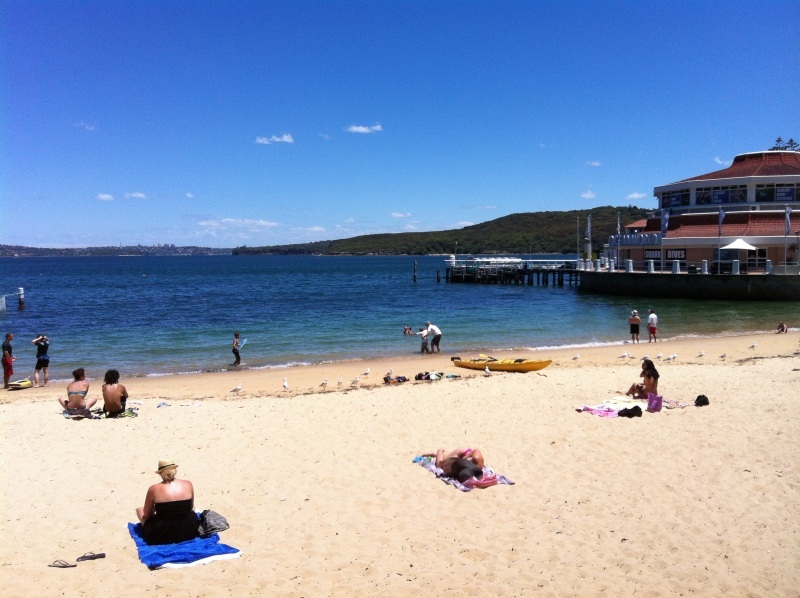 Children can build sand castles or watch the Manly Ferries come and go. 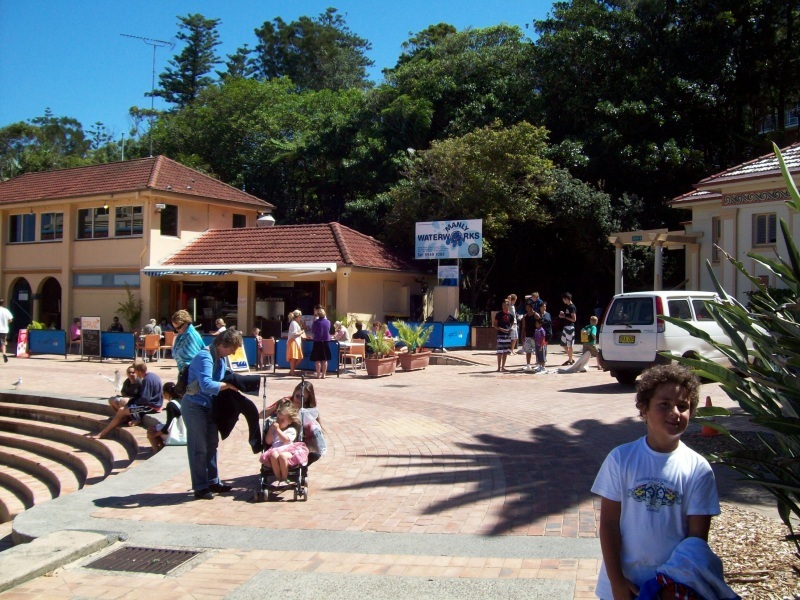 If your kids are a little older (and measure over 120cm), you can let them loose at Manly Water Works, or visit Manly Sea Life Sanctuary. 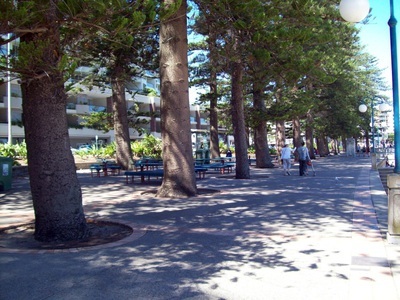 Manly Cove Beach has tall trees which provide shade on hot summer days, a promenade where kids can ride their scooters and roller skates and tables, where you can relax and just watch the world go by. 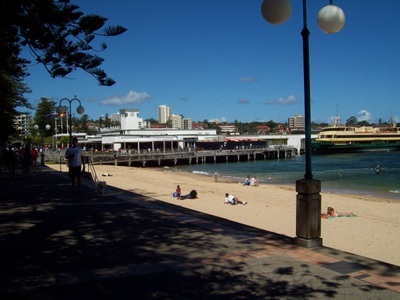 Toilets and showers are located not only at Manly Wharf but also near Manly Water Works. 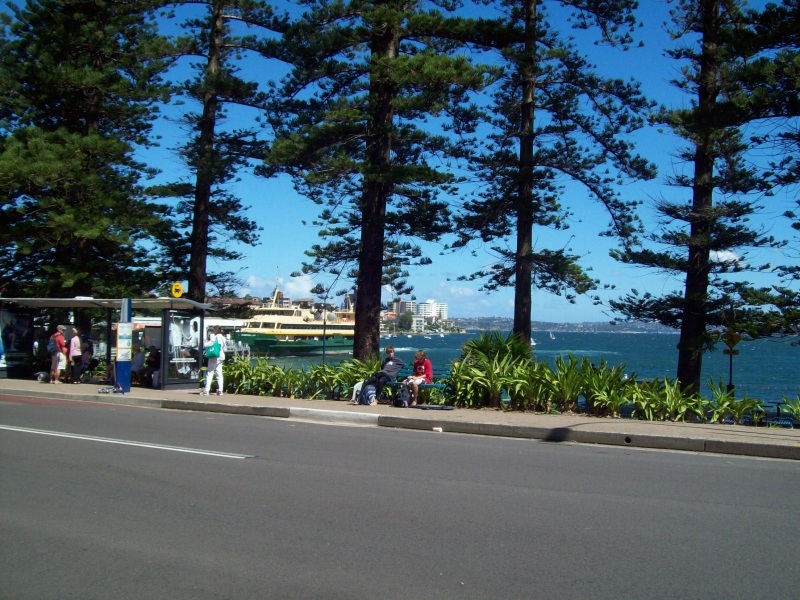 Bring a picnic or buy lunch at one of Manly Wharf's take away shops or enjoy a quiet meal at one of Manly's many restaurants. 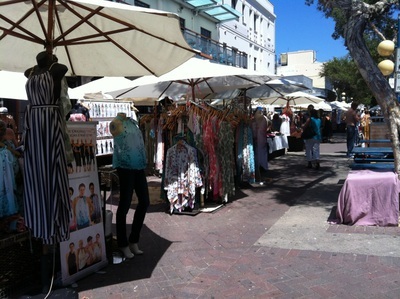 Take a stroll to The Corso for some ice cream, coffee or a bit of shopping. 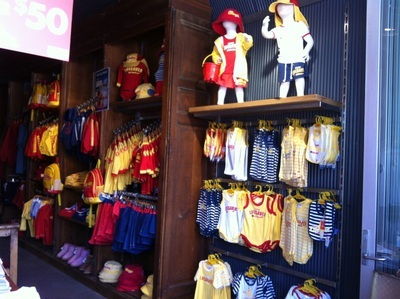 You will find everything from the $2 shop to surf shops such as Hurley, Billabong, Rip Curl, Quicksilver as well as chains including Bay Swiss, Just Jeans, Sportsgirl, not to mention boutique fashion and gifts, street wear and several day spas. On the weekend you will also find great markets offering organic food, arts & crafts and clothing & accessories. 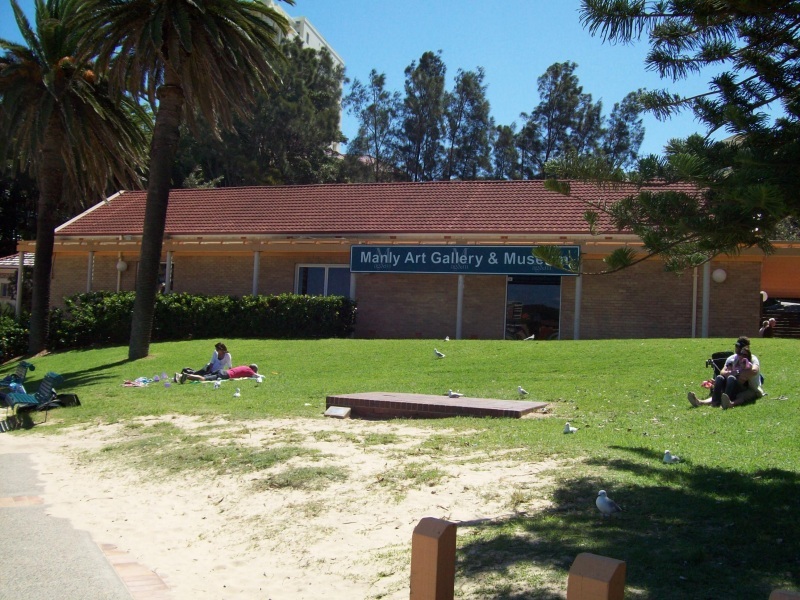 Manly Art Gallery & Museum is also located near the beach and offers a great selection of art collections, beach culture collections and ceramics. The exhibitions change regularly, so there is always something new to see. 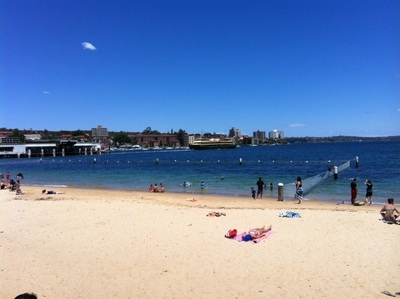 In the evenings, you will often see penguins arrive at the beach, as they head to their burrows to join their young. The little penguins which stand at only 30cm tall and weigh 1kg are the world's smallest penguins. The conservation society asks that visitors reduce the amount of noise and light around penguin areas, especially from dusk to dawn during the breeding season which is the beginning of July to end of February. Street parking can be difficult to find, especially during summer, but there are several council car parks which offer free parking up to 2 hours. Alternatively you can catch a bus to Manly Wharf or even a ferry from Circular Quay. 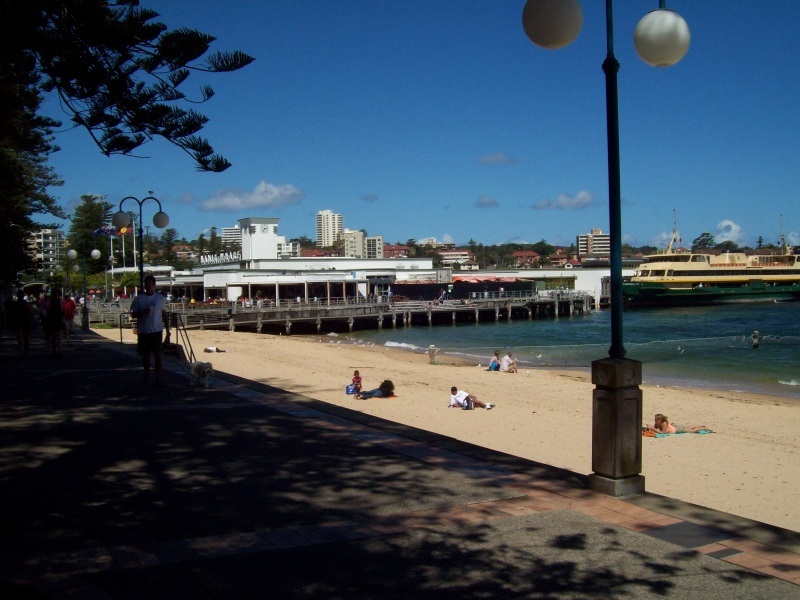 So whether you are after a quiet day of relaxation or a day packed with activities, Manly Cove Beach is definitely worth visiting. And don't forget to bring your camera, as you will be snapping plenty of photos of this picturesque location.